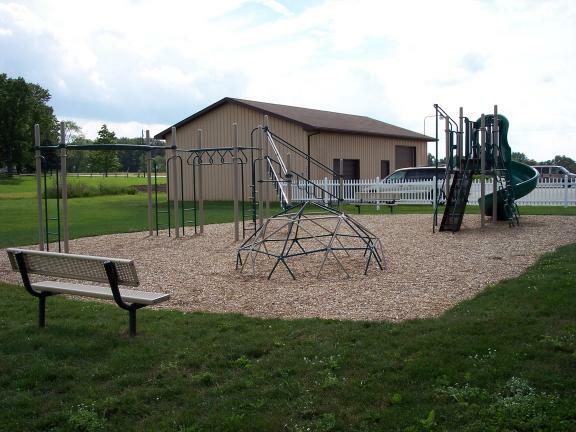 The Bennington Township Hall is available for rental to township residents. The rental fee for a Friday, Saturday, or Sunday is $100.00 with an additional $100.00 security deposit. The rental fee for a Monday, Tuesday, Wednesday, or Thursday is $60.00 with an additional $100.00 securty deposit. There is a cancellation fee of half the rental amount. The hall can accommodate up to 150 people, has kitchen facilities, and two rest rooms. The hall is air conditioned and the rental fee includes use of the tables and chairs. There is NO ALCOHOL, NO CONTROLLED SUBSTANCES, and NO SMOKING permitted in the facility. There is also an outside play area and pavilion that may be used when at the hall. 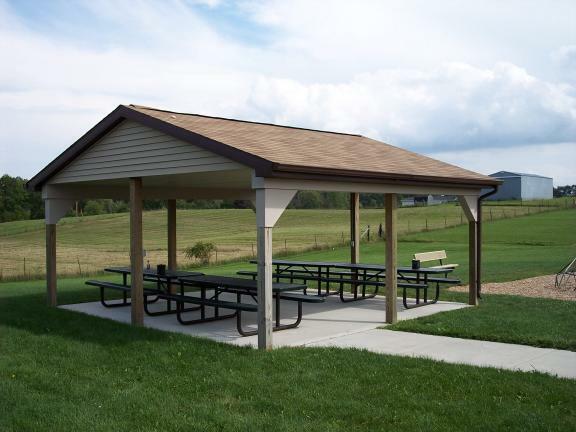 The pavilion cannot be reserved and is on a first come, first served basis. The hall is available for funeral dinners. The deposit and rental fee will be waived if the deceased was a current resident of Bennington Township. You may pick up the hall key the night before your rental. Make arrangements with Lee Ash (989) 725-5083 or (517) 202-5921. The rental period is from 10:00 A.M. to 1:00 A.M. the following morning. No alcoholic beverages or controlled substances are to be used on any Township property at any time. You are responsible for the condition of the facility as of the time you vacate the premises. ► chairs/tables wiped down as appropriate and put away. All doors and windows are to be locked before vacating the premises and any personal property brought onto the Township premises must be removed. When done, please leave the key in the drop box at the office door. If there are any issues with the facility, including too hot, too cold, no water, etc., call Lee Ash at (989) 725-5083 or (517) 202-5921. If the hall has not been left in a clean and presentable manner, or if there has been damage to the facility or equipment, or if you have decorated early without pre-approval, the security deposit will not be refunded and there may be additional charges levied as a result.